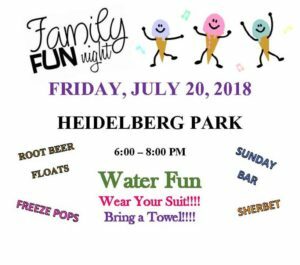 Heidelberg Borough is excited to announce a “Family Fun Night” being held on Friday, July 20 from 6-8pm at Heidelberg Park. Activities include a Sundae bar, root beer floats and water fun. Be sure to bring a swimsuit and towel!